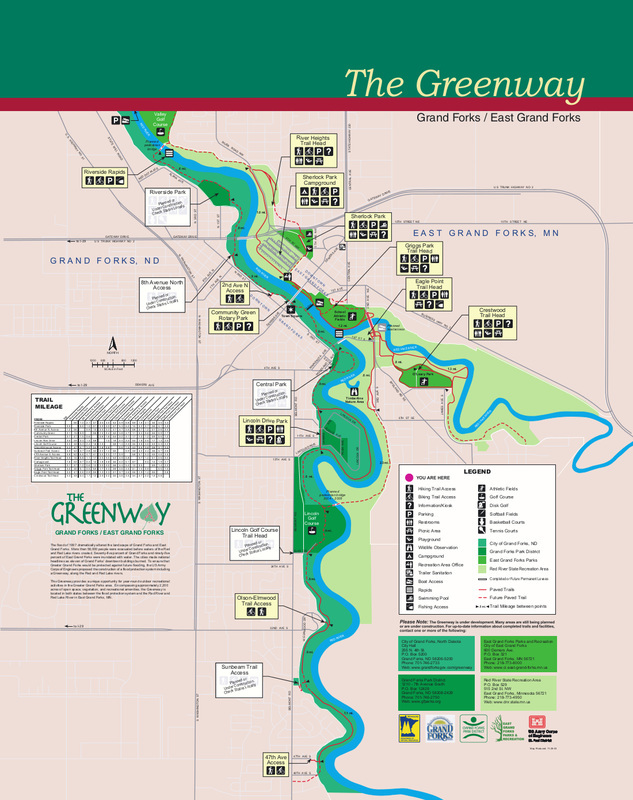 The North Dakota side of the Greenway extends more than 7 miles, from 47th Ave S northward to the North Pedestrian Bridge. The links below describe the access points and are arranged in order from north to south. Each link describes a segment of the Greenway and gives tips on the birds that can be found there.